“We are one important step closer to protecting millions of U.S. shrimp consumers, our U.S. shrimp fishery, and legitimate, law-abiding shrimp importers from illegal shrimp imports”, said Southern Shrimp Alliance (SSA) Executive Director, John Williams, who further noted that shrimp is our nation’s largest seafood import with over $6 billion in shrimp products imported in 2017. – for two years, keep records of that data along with information documenting the integrity of the supply chain of custody from those harvest events to entry into the U.S. The program further provides NOAA with authority to perform audits of the harvest and chain of custody information provided by importers. This will greatly facilitate the U.S. government’s efforts to combat IUU fishing and a broad array of fraudulent activities in the shrimp import supply chain devised by dishonest importers to evade various U.S. trade and consumer safety laws. – the evasion of U.S. anti-dumping duties and efforts by the FDA to enforce U.S. food safety laws. 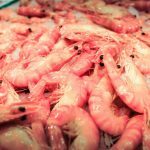 The inclusion of shrimp imports under the SIMP program was a long-fought and hard-won legislative battle championed by a number of powerful Members of Congress deeply concerned about these illegal activities. Opponents of the legislation included the National Fisheries Institute and the National Restaurant Association.